In the first Zombie Cat post we talked a little bit about the intersection of Tarot and science. Now lets shift gears yet again and add in the “woo-woo”, fringe, and well, spiritual. Tarot intersects all of those things too. So, back to Tarot and spirituality. Any good thesis defines its terms. In this case we have to define spirituality. I’ve noticed a tendency for people to use spirituality and religion almost interchangeably. They aren’t. 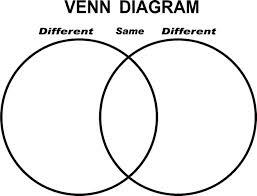 As I see it they are totally different, damn near opposite things. I define spirituality as an internal, individual, personal self understanding of the wordless, esoteric parts of life beyond logic and science. Religion, on the other hand, is external, codified, ritualized, other. We express our spirituality in out external lives. Spirituality goes from the inside out. Religion structures our external lives as a way to instruct the internal. Religion is outside in. Tarot is intuition – it is inside to inside. It has everything to do with spirituality, nothing to do with religion. Spirituality is unlimited. It is in this vast inner world where Tarot applies and finds its usefulness. Yes, the cards are external. But they don’t instruct our inner world from the outside in as a religious practice might. They are a mirror and lens to help us see out inner world. They reflect and shine light in the dark corners, allowing that inner world of spirituality to illuminate and expand, grown and thrive. Yes, the cards can be dark and mysterious – that is necessary too. If all is light, our eyes are dazzled and we can’t see. If all is dark, we still can’t see. Vision lies in both – back to yin and yang. The cards are nothing more than just pieces of paper. It is the centuries projected wisdom and symbolism written on the cards combined with the intuition and insight of the Tarot reader’s living modern mind that leads the way to enlightenment…not the pieces of paper alone. The cards are the Venn intersection of mind and matter that lets us catch glimpses of the possibilities and probabilities afforded to us by the physical/quantum universe of which we are an intimate and inseparable part. Tarot cards are our surrogate in the trinity of human, science and spirituality. They are a surrogate that draws wisdom, guidance, insight and empowerment out of that melange of known, unknown, explicable, inexplicable, and the heart that seeks to know more. There is more in heaven and earth than we have yet to dream and discover. There is more inside ourselves as well. 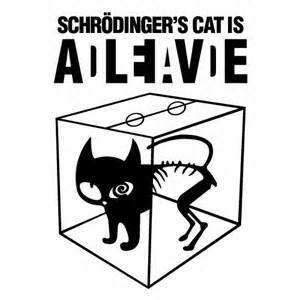 There is more than just dead cat / living cat in Schrodinger’s box. Woo-woo as they may seem, disappearing cats and zombie cats are part of the biggest of big pictures: The human heart, mind, imagination and spirit.